BAKERSFIELD, Calif. — According to an email sent out by Lightning In a Bottle, they have announced that the 2019 festival will take place at Buena Vista Aquatic Recreation Area. 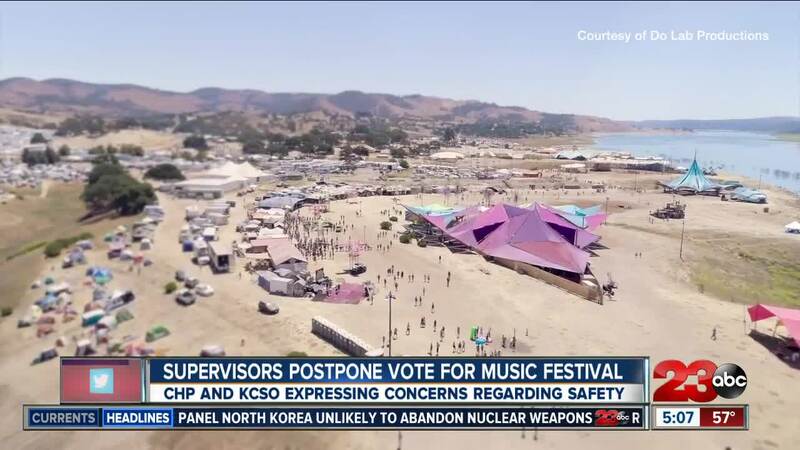 County supervisors voted Tuesday morning to postpone a decision on the 5-day camping, music and arts festival. The Kern County Law Enforcement has raised concerns in recent days about staffing such a large event and ensuring overall public safety. The festival also shared a video reveal for the location. According to DoLaB Productions, tickets will go on sale at 10 a.m. on Thursday, February 14, despite the Board of Supervisors not taking up the issue again until February 26. Do LaB and Lightning in a Bottle co-founder and produce Dede Flemming released a statement on the event. "We thank so many of our community for taking such an engaged interest in our ongoing venue and permitting discussions with Kern County. The hearing today was positive and we are happy to be progressing with Kern County officials. We are really excited about the Buena Vista Lake venue and our local partners, the new site is an incredible picturesque location, that's flatter, grassier, and feels like a perfect new home for our community. I welcome the transparency that today's hearing brought to the permitting proceedings as it highlights the challenges that many independent festival promoters across the country face. We look forward to working with the residents and officials of Kern County to produce an incredible event this May."